Fiocchi is one of Europe’s largest and oldest ammunition producers. 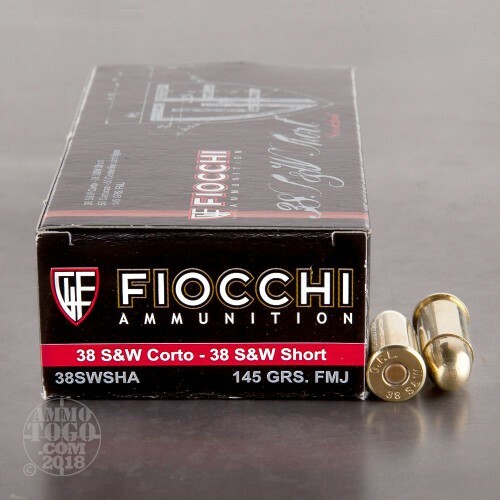 This Italian based company has been manufacturing ammunition for the US market in Ozark, Missouri since 1986. 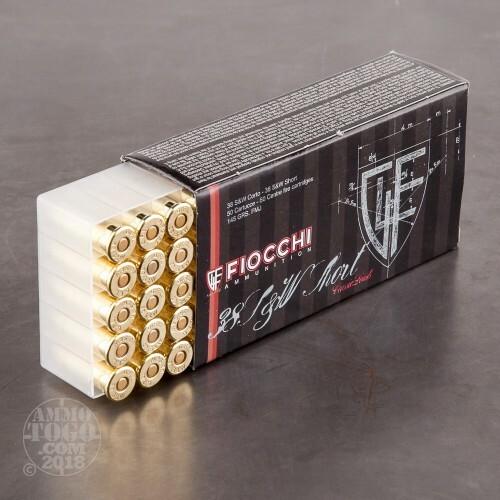 Combining the best of Italian style with the best of American innovation, this is excellent target ammo at an excellent price. 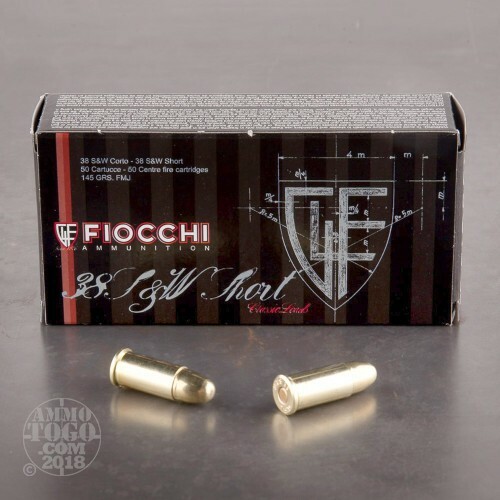 This package contains 50 rounds of Fiocchi .38 Smith & Wesson short ammunition. Each cartridge is loaded with a 145 grain full metal jacket (FMJ) projectile. Delivering minimal terminal expansion, these loads are best suited for target shooting and casual plinking with your classic revolver. 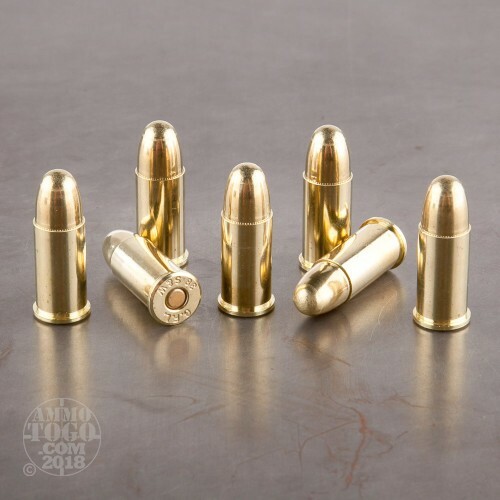 This ammunition is non-corrosive, boxer primed, brass cased, and fully reloadable. Each round produces a consistent muzzle velocity of 780 feet per second.